Are you curious to know how can physical therapy help? There are many ways and many environments in which physical therapists specialize and/or help to deliver care to their patients. Physical therapy is a type of healthcare specialty that deals with assessing and treating mobility issues. A licensed physical therapist provides the treatments. 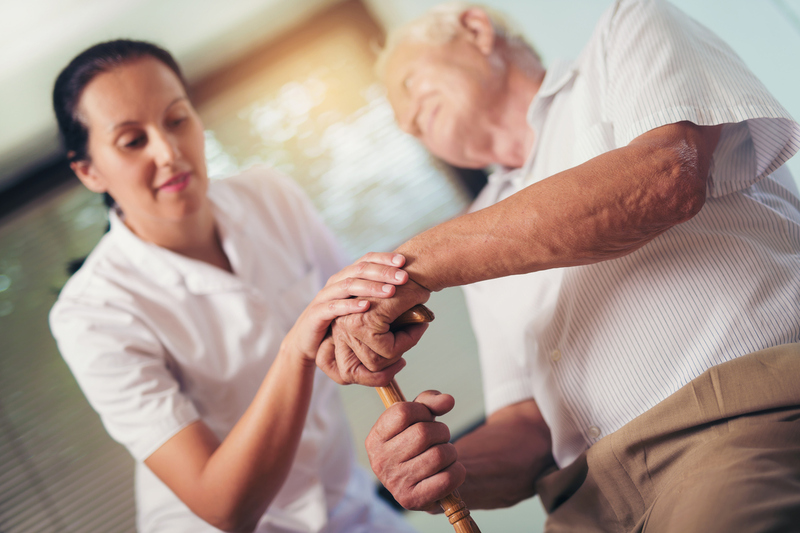 When patients have an injury or illness, physical therapists assist them in managing their pain, improving their movements and reintegrating them into the community. Physical therapists typically work in clinics or hospitals; however, they can also work in nursing homes or private offices. A small percentage of physical therapists are self-employed, so they manage their practice. The job requires people to stay on their feet for most of the day; therefore, they must be physically active while on the job. Besides exercise, treatments may also involve the use of electrical stimulation. If a patient is in a wheelchair, the physical therapist may use electrical stimulation on his or her leg muscles. Some other treatment methods include the use of hot packs or cold compresses. An ultrasound can even be used to reduce swelling and relieve pain symptoms. Traction and deep-tissue massages are another way to ease the pain. In addition to implementing treatment plans, therapists teach patients how to use suitable devices. For instance, they may show patients how to use crutches properly. It is also common for them to educate patients how to use prosthetics and wheelchairs. They even demonstrate how the exercises can be performed at home to make for a speedier recovery. Throughout the treatment plan, a physical therapist documents the patient’s progress. Whenever necessary, the therapist conducts periodic tests and modifies the treatment plan. This is the best way to identify and focus on areas that need more attention. Physical therapists usually consult with other medical professionals when working with patients. For instance, they may consult with physicians, occupational therapists, and audiologists. A physical therapist is allowed to specialize in a specific area of the field. Some choose to work in either pediatrics or geriatrics. If someone is a fan of sports, he or she can choose to specialize in sports medicine. Other areas within the field are orthopedics, oncology, and neurology. Our physical therapists and staff at Above & Beyond Physical Therapy specialize in many areas to help you become mobile again, whether after accident, injury or illness. If you would like to learn more about how physical therapy can help, contact us for an initial consultation today. « The Opioid Epidemic: Where Does Arizona Stand?